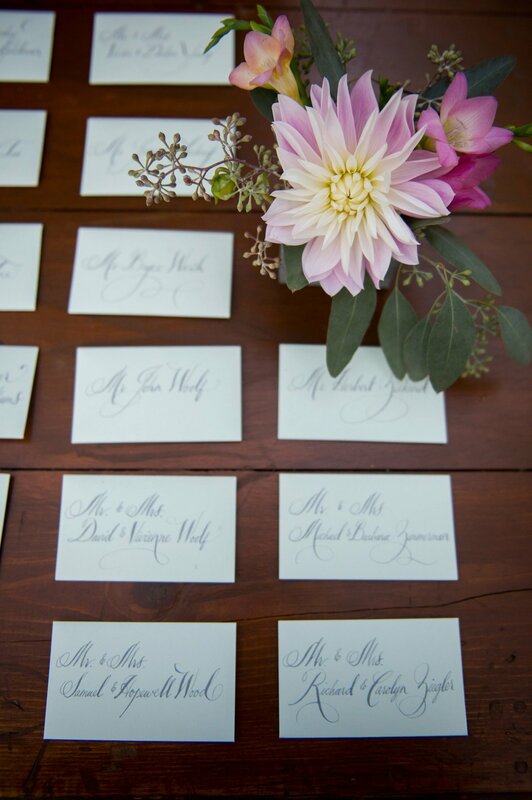 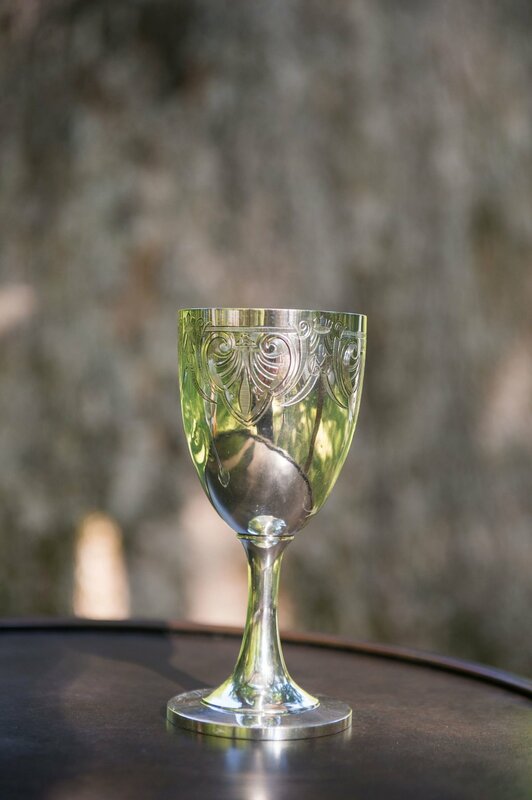 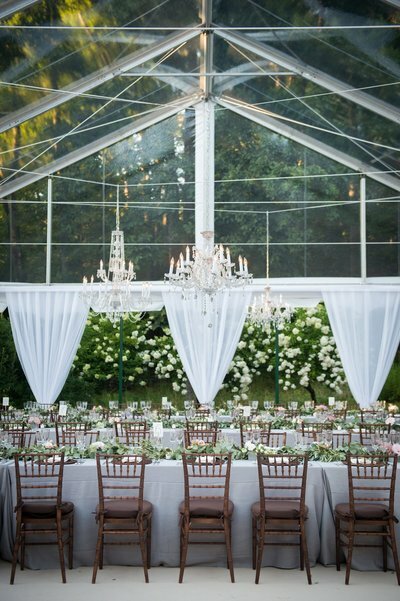 Set on the family’s private estate, our couple wanted a wedding design the complimented their surroundings. 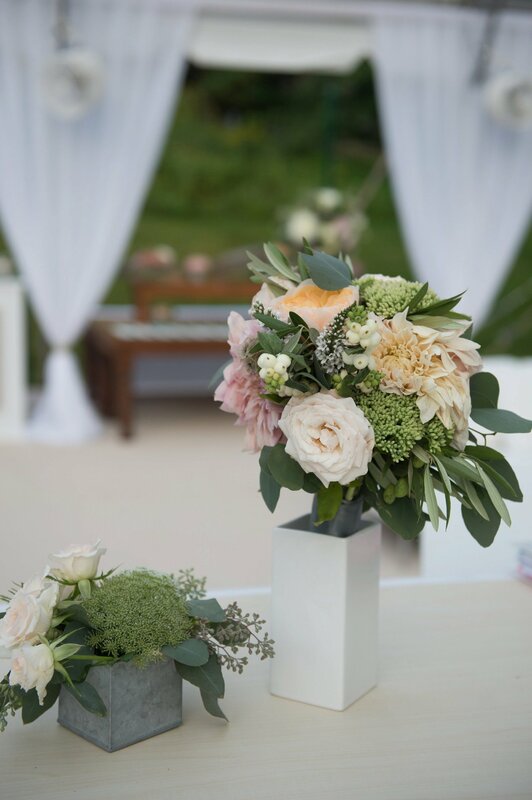 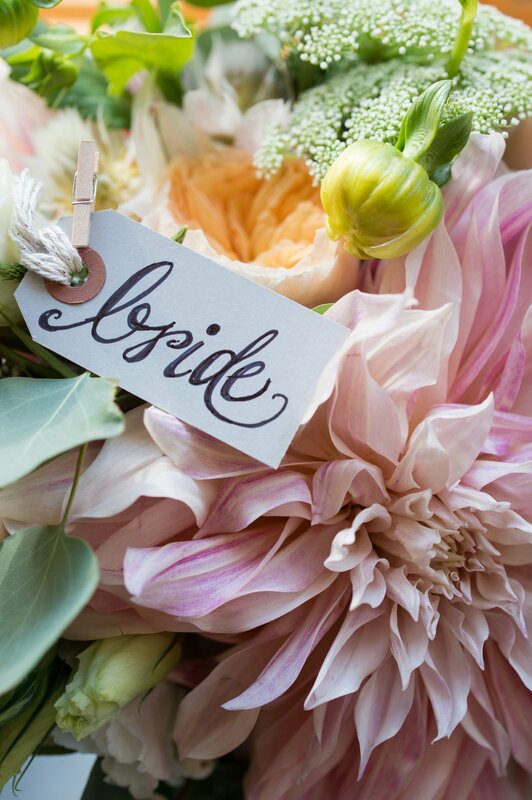 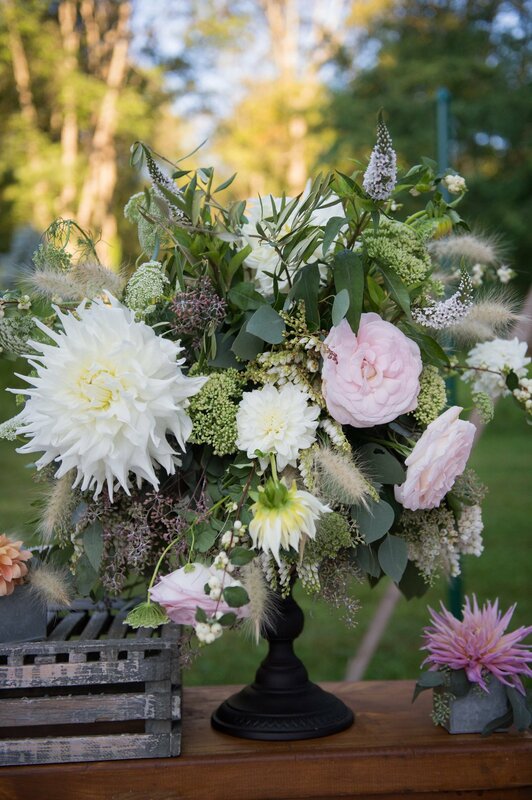 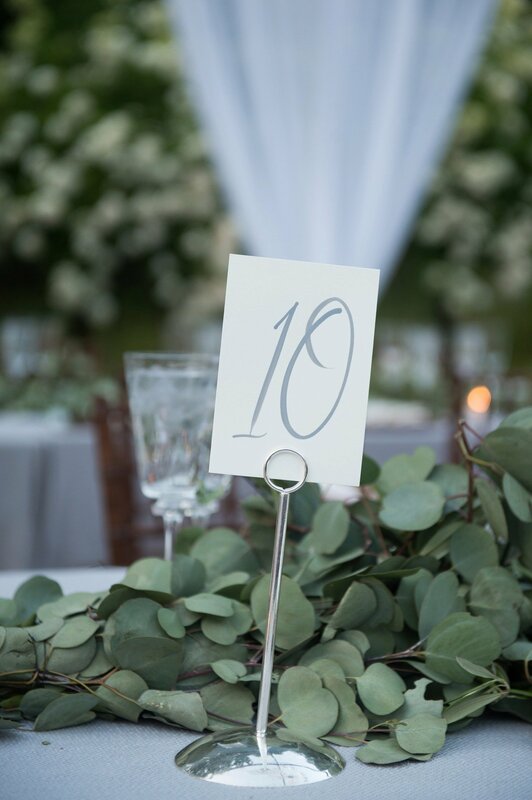 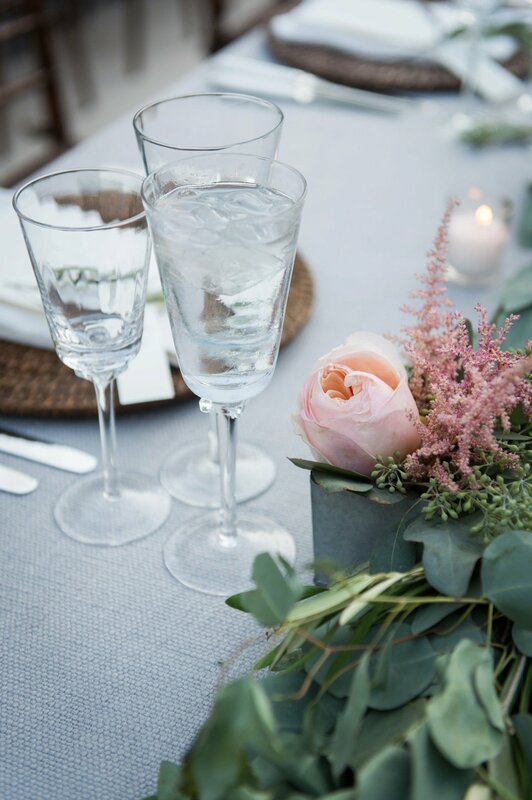 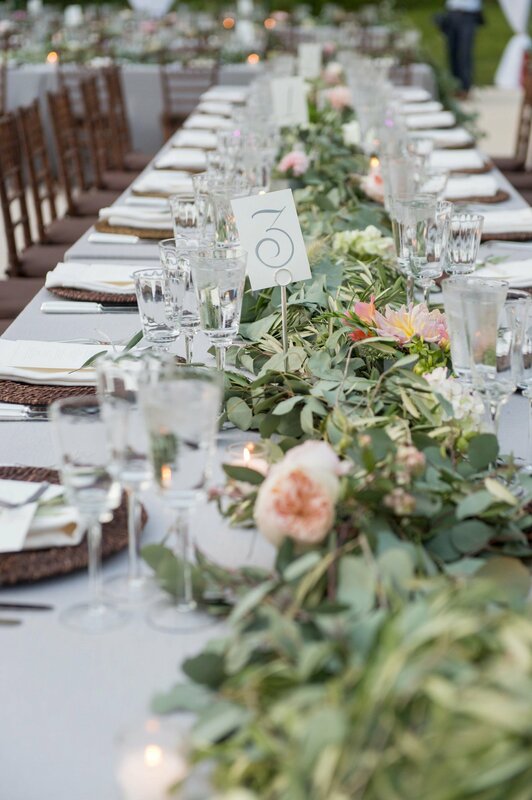 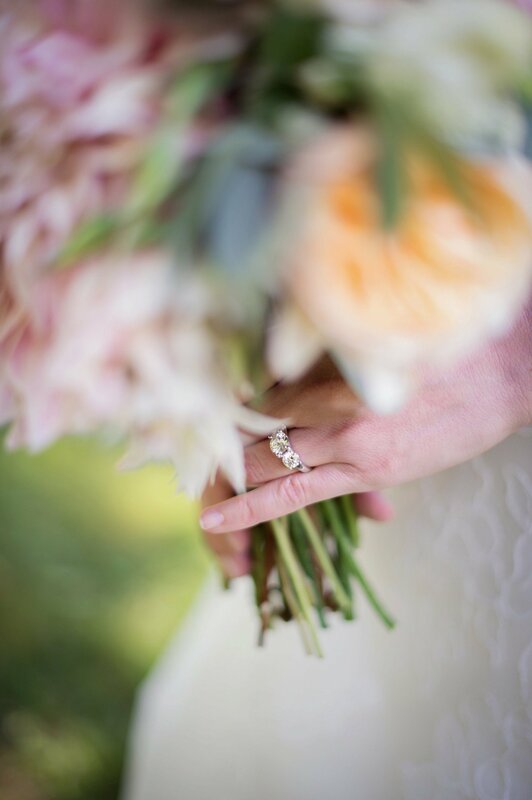 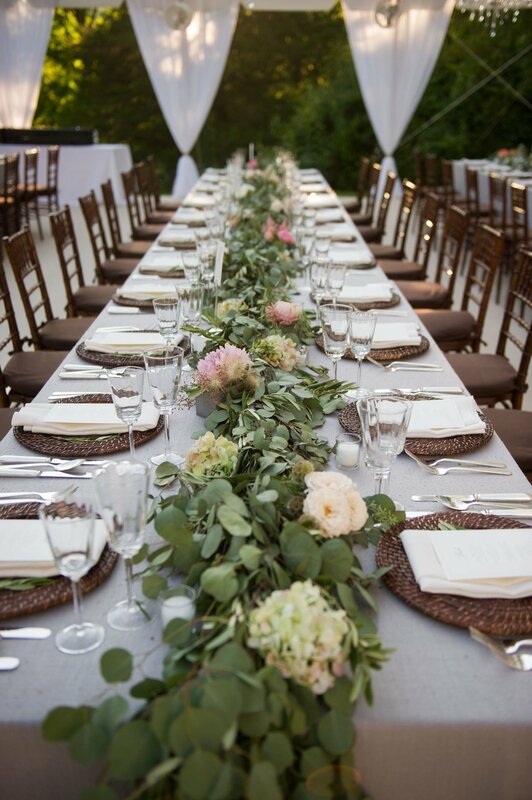 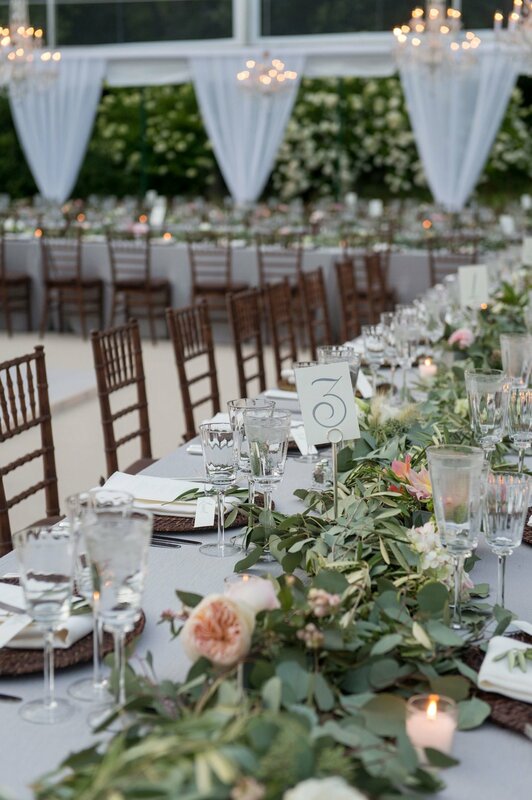 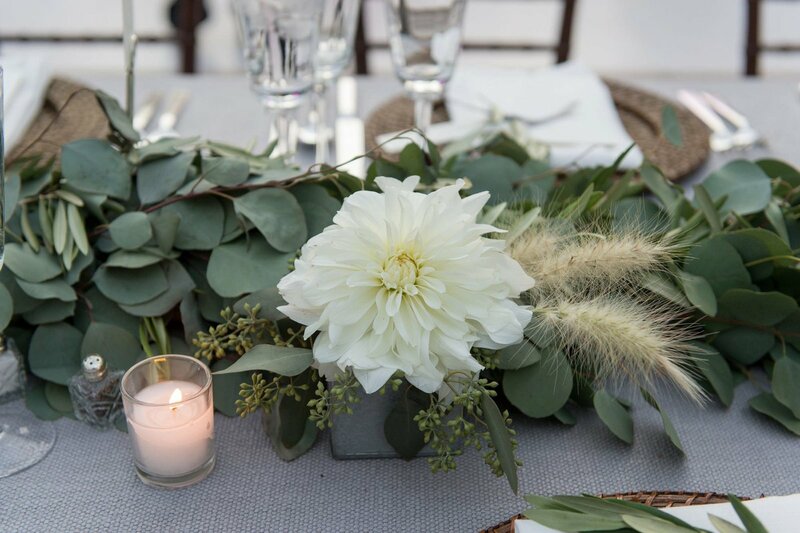 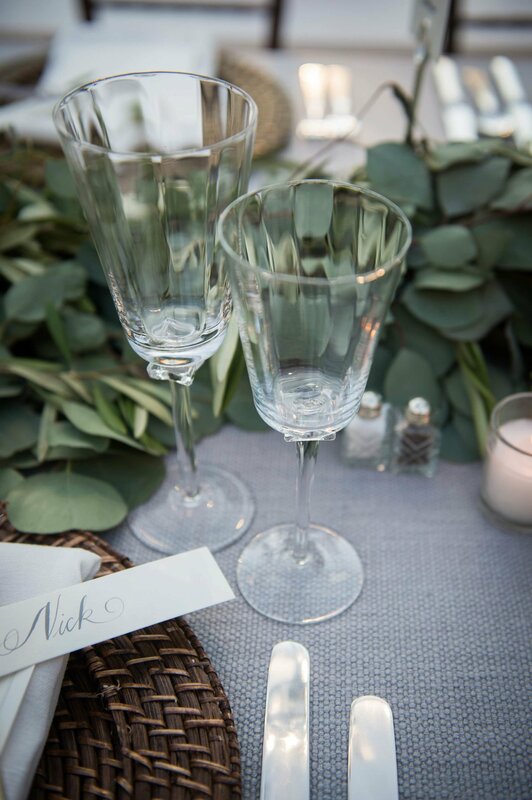 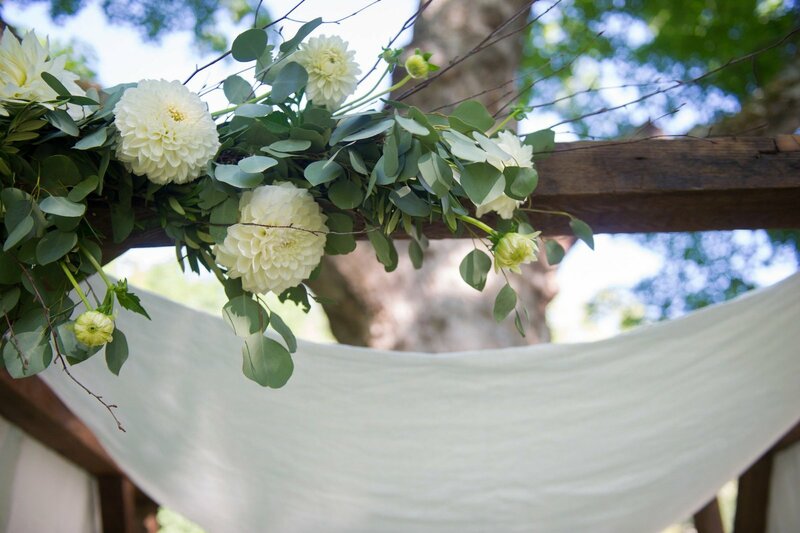 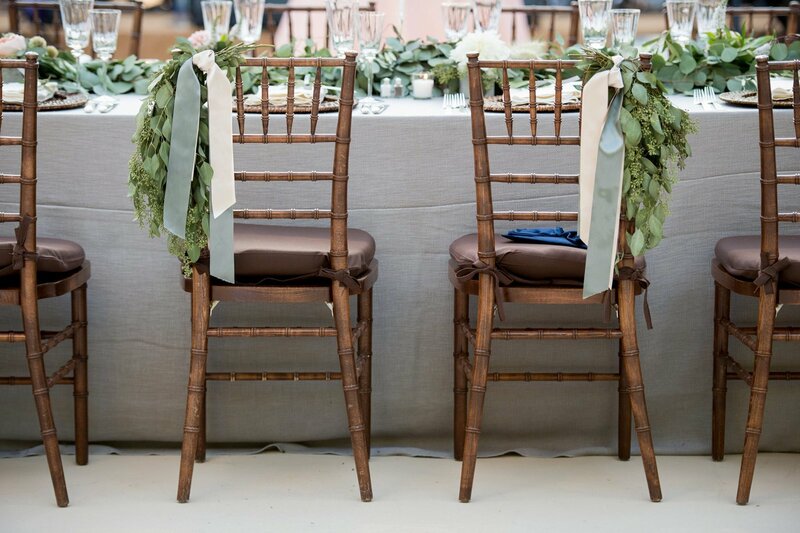 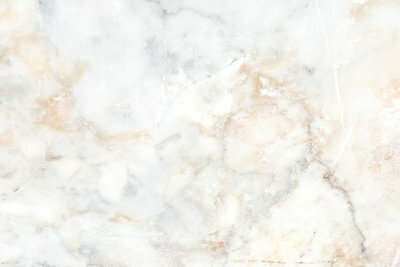 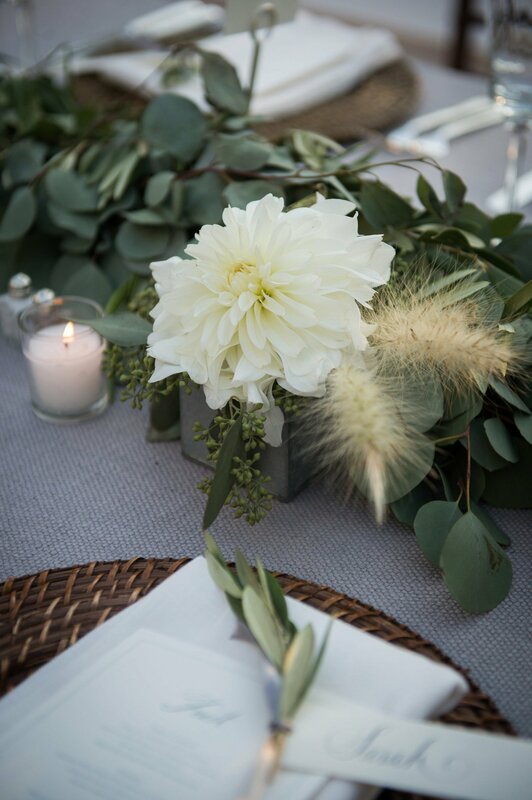 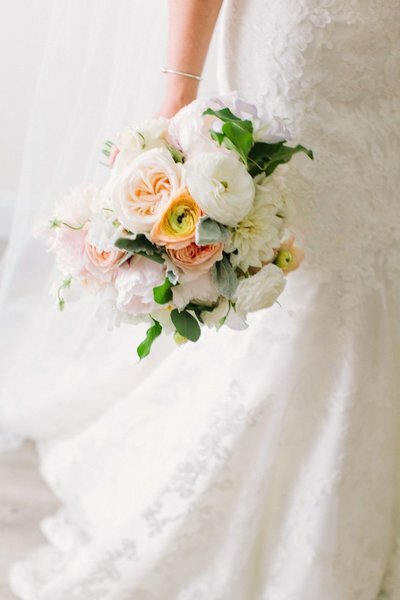 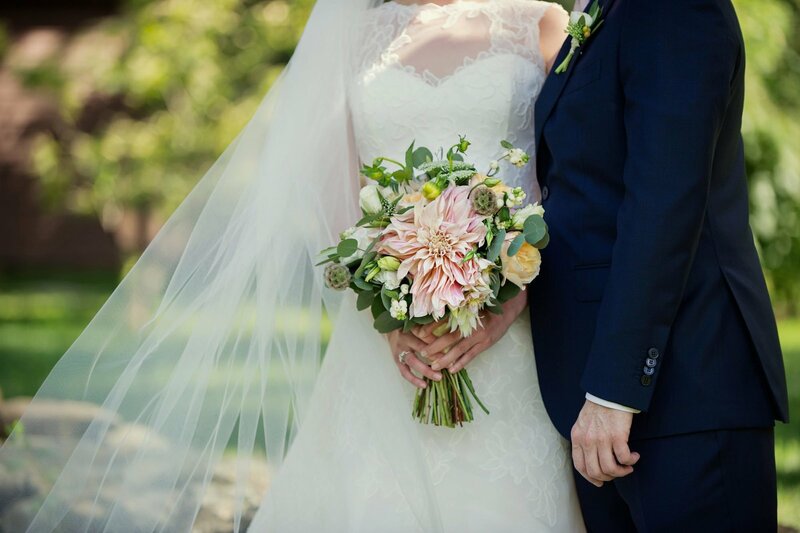 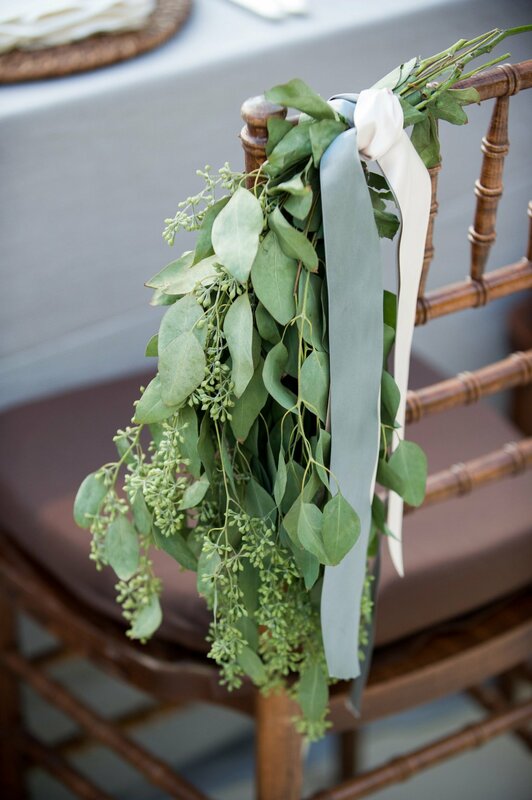 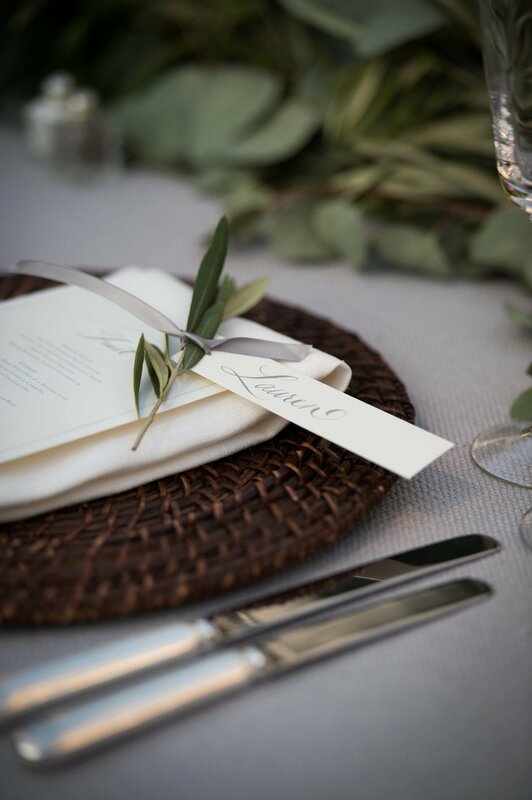 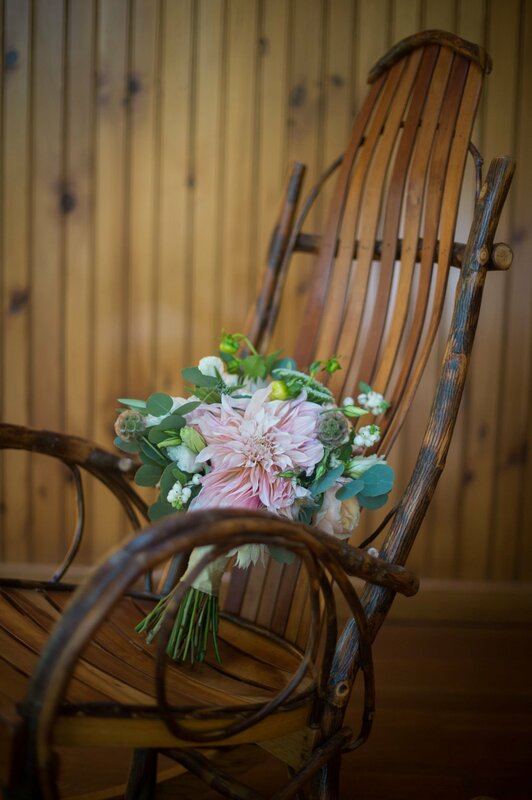 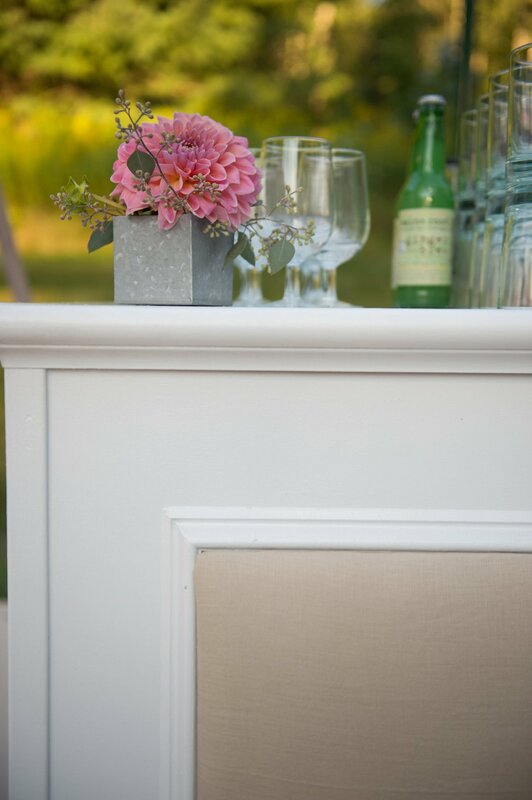 We kept the color story soft and simple: blush, green, and white and infused an organic, romantic style with modern elements. 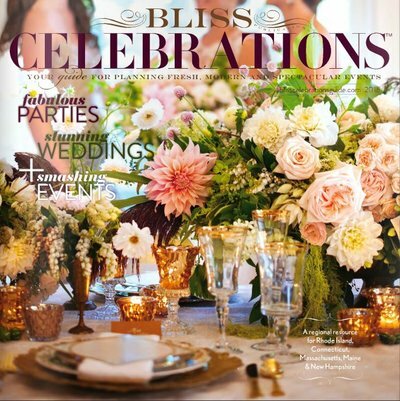 We were so honored to see the wedding of S&N featured in the 2015 issue of Bliss Celebrations Magazine. 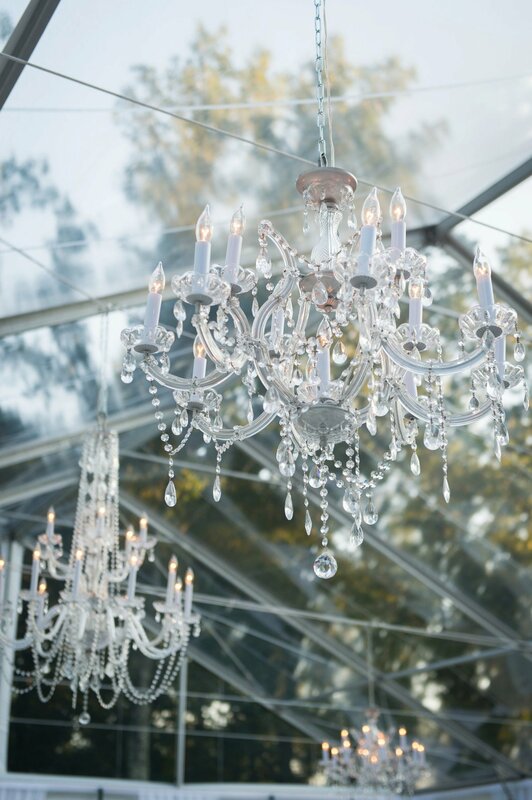 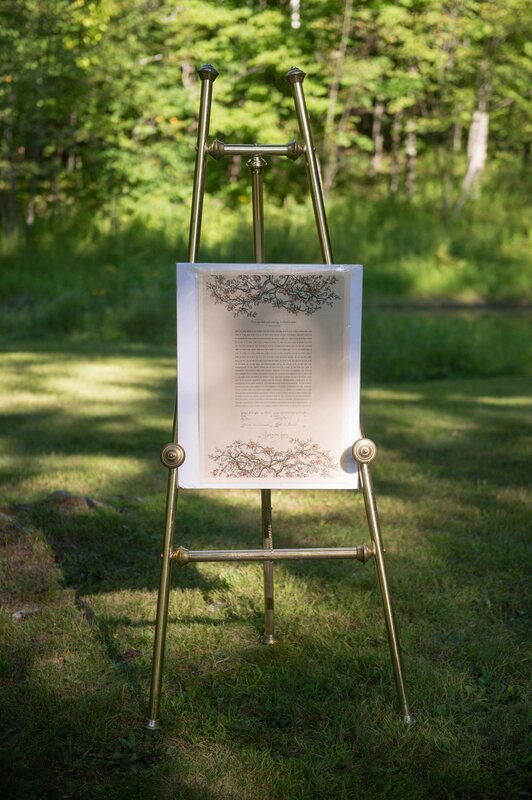 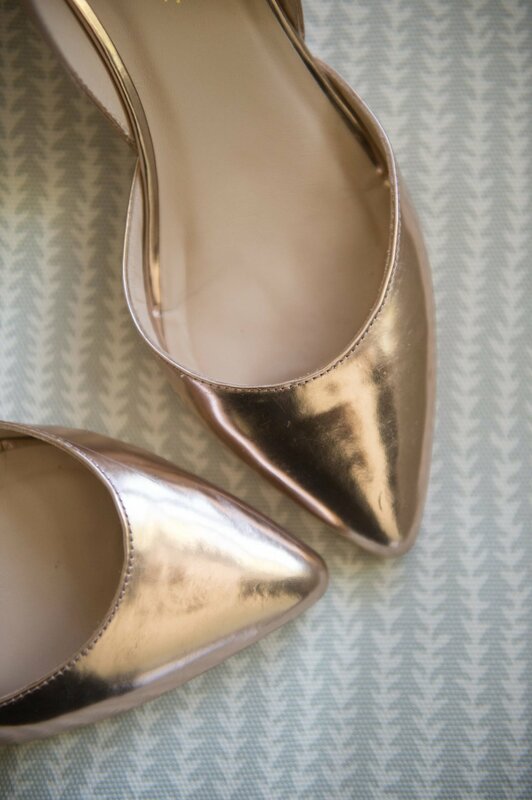 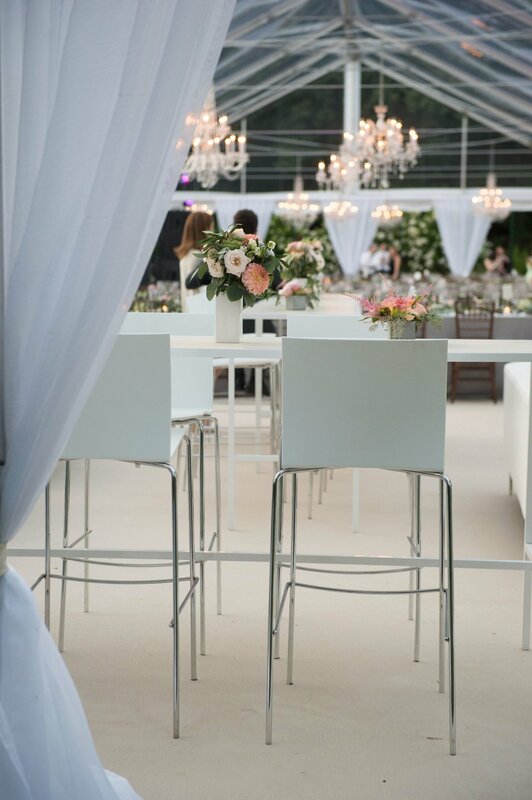 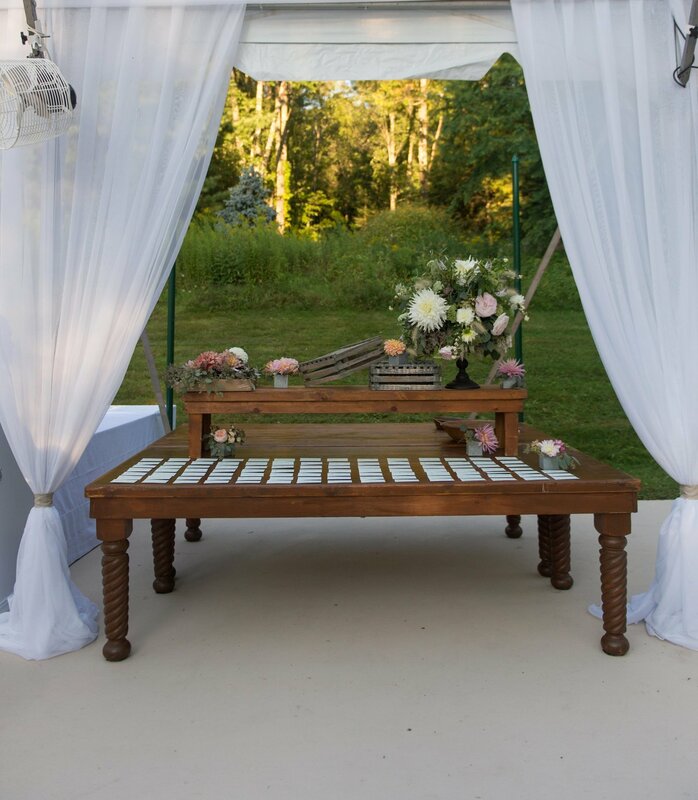 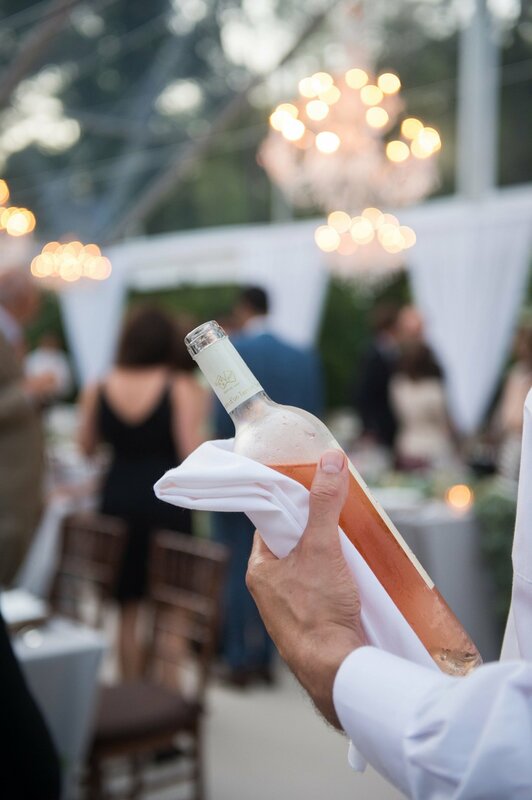 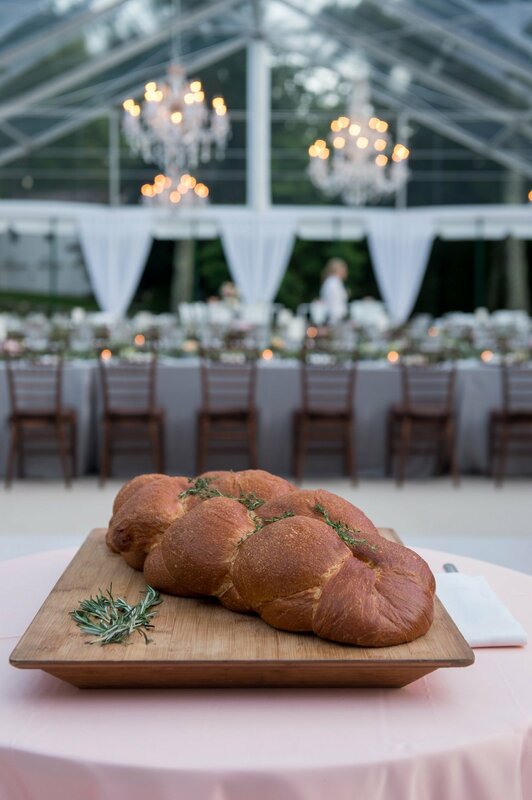 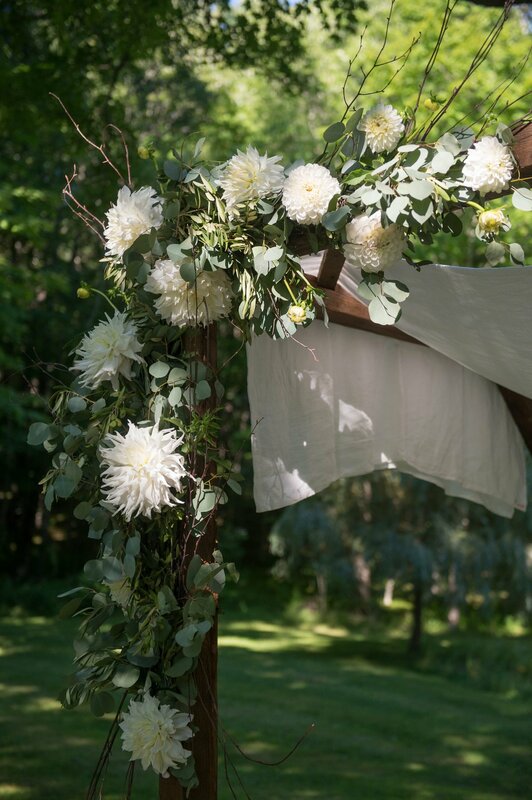 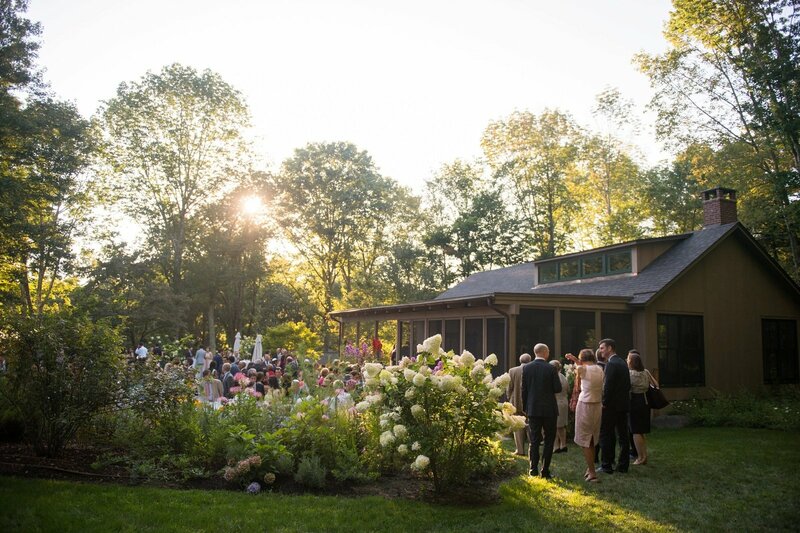 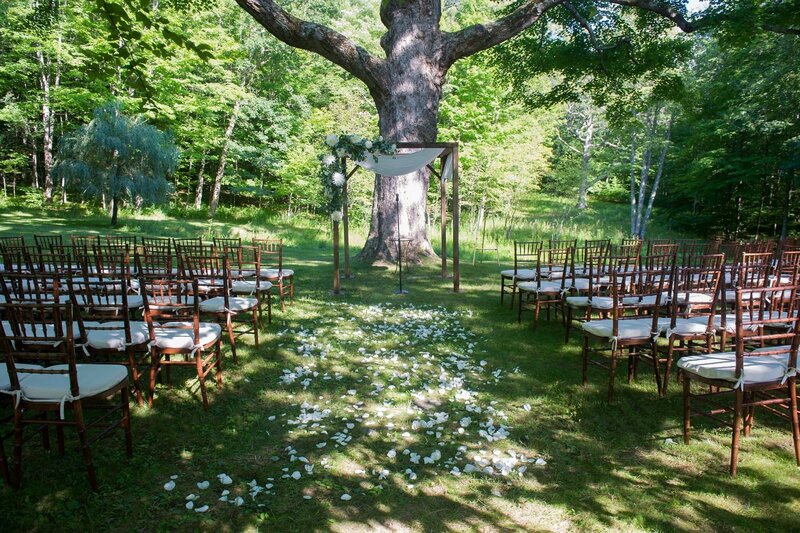 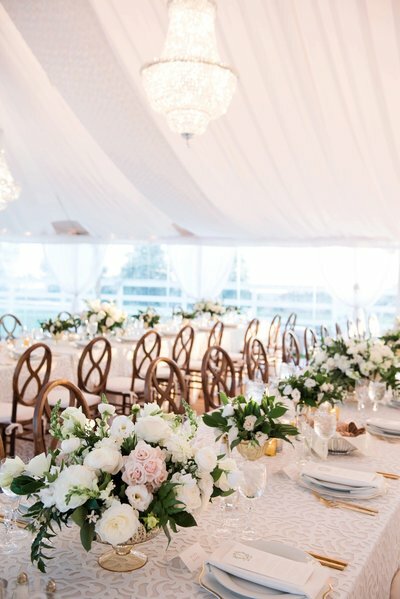 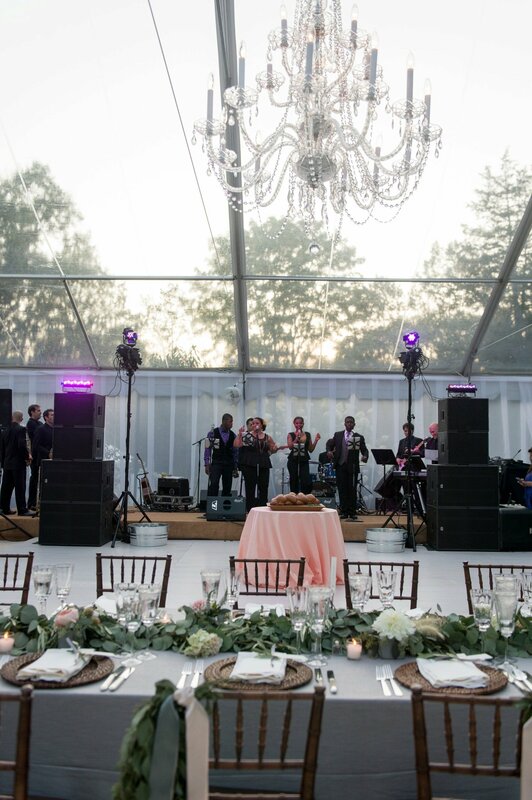 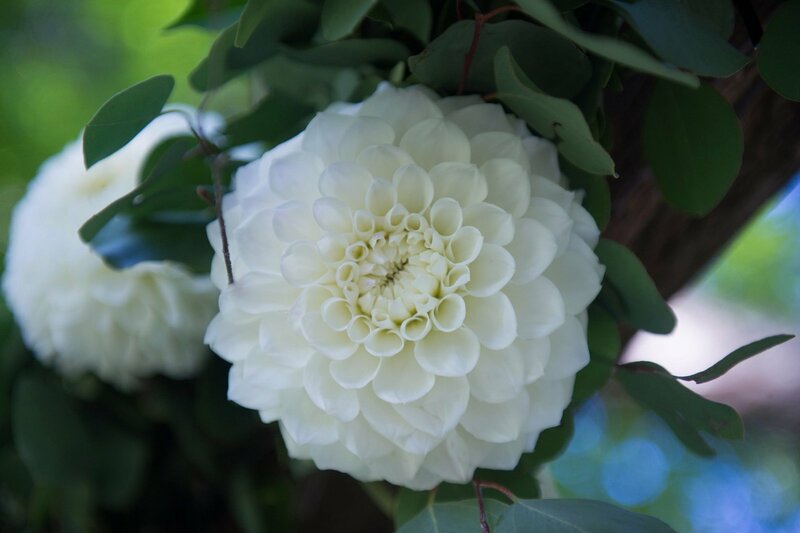 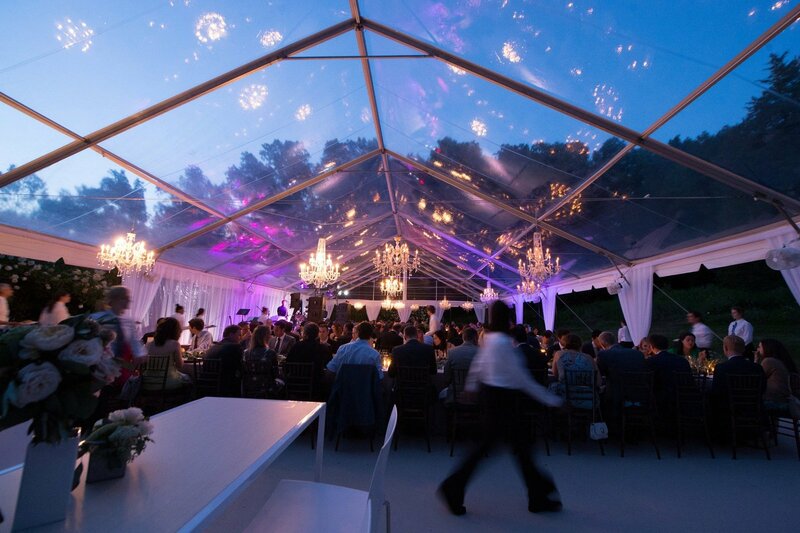 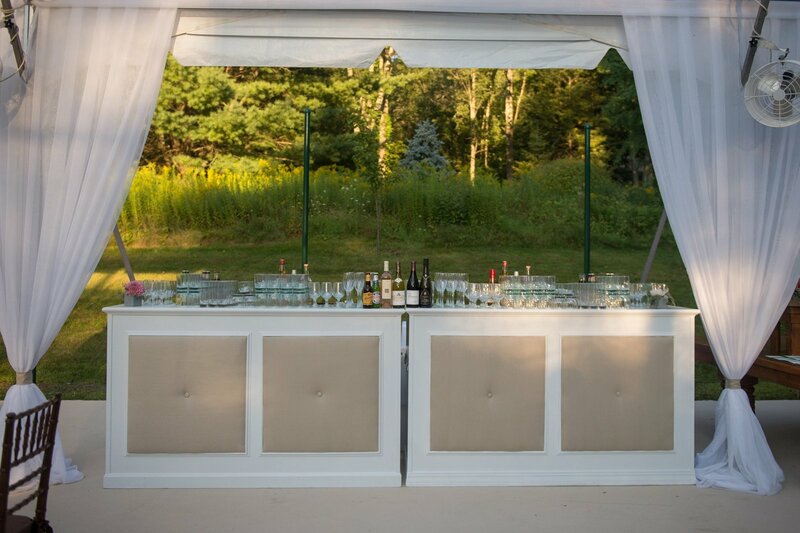 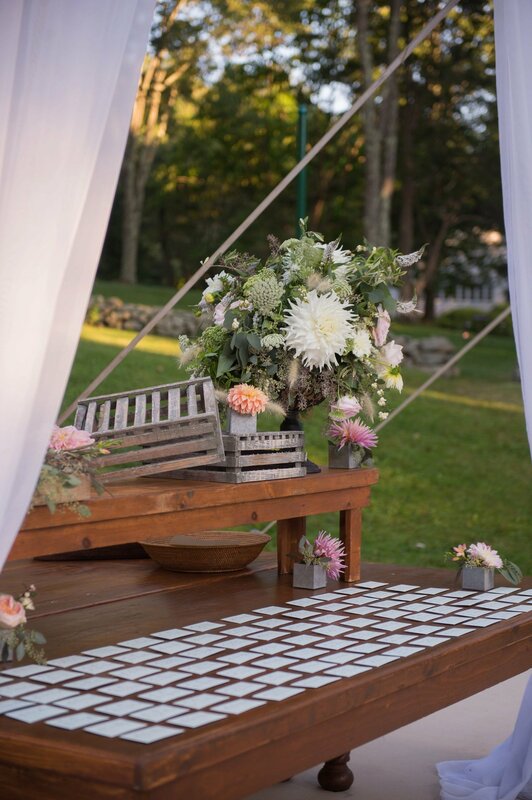 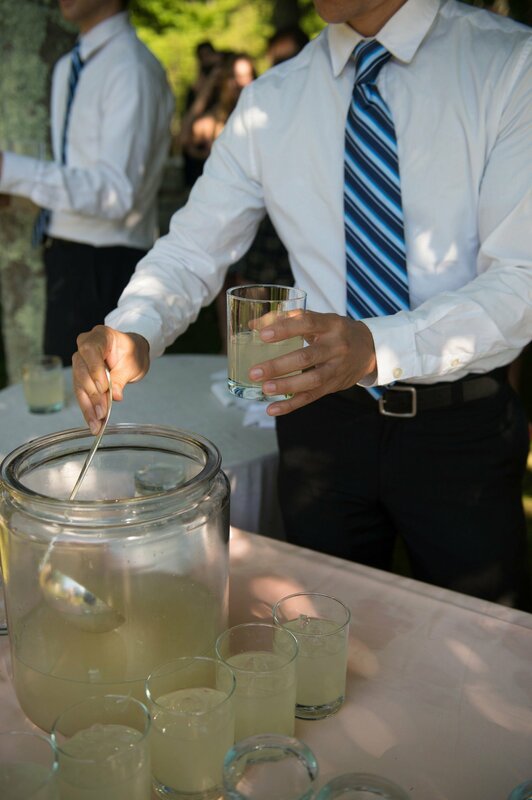 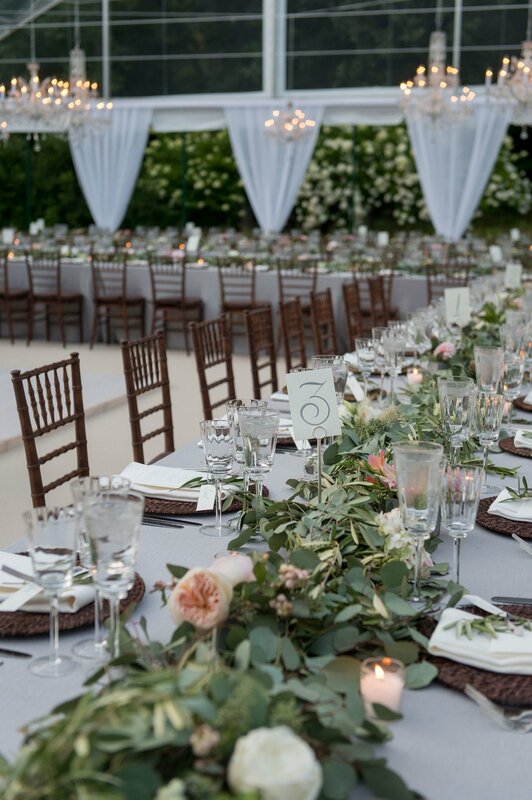 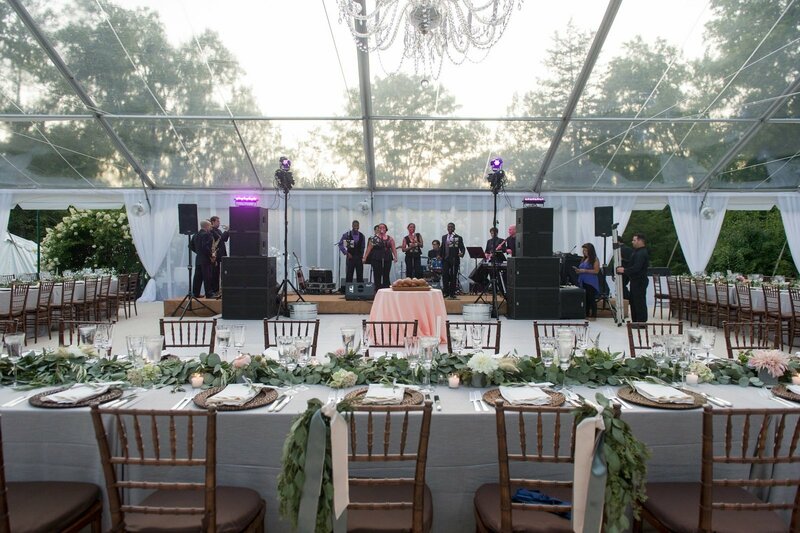 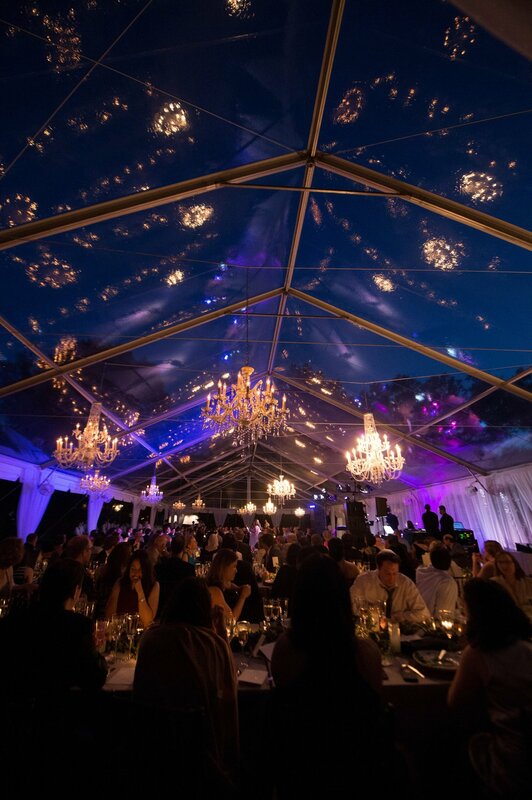 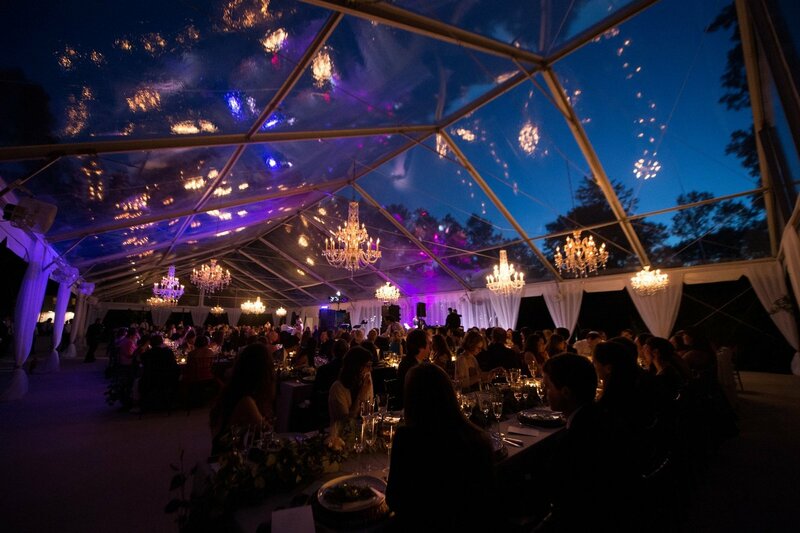 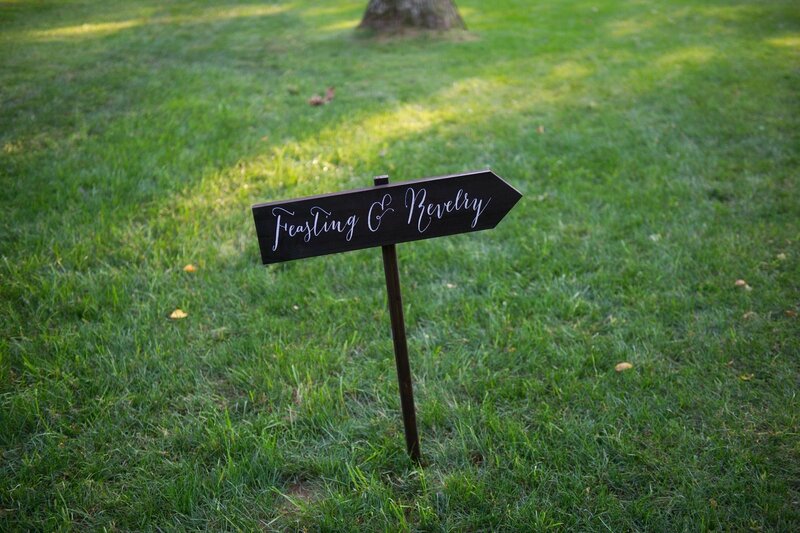 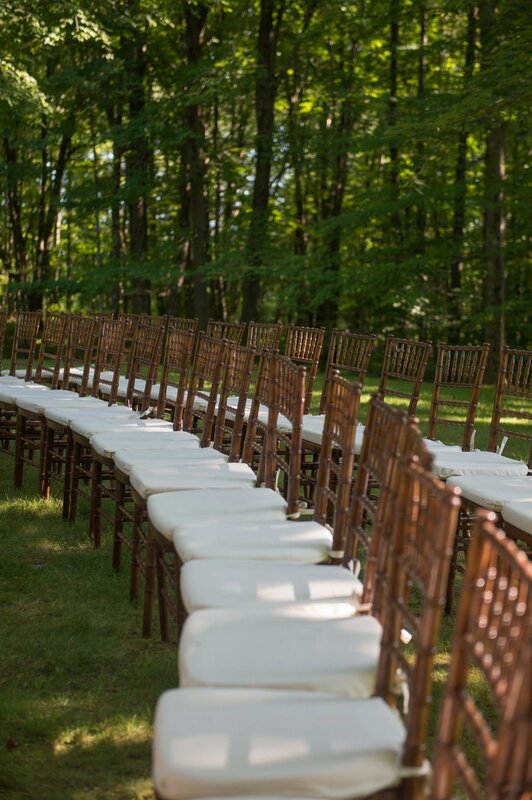 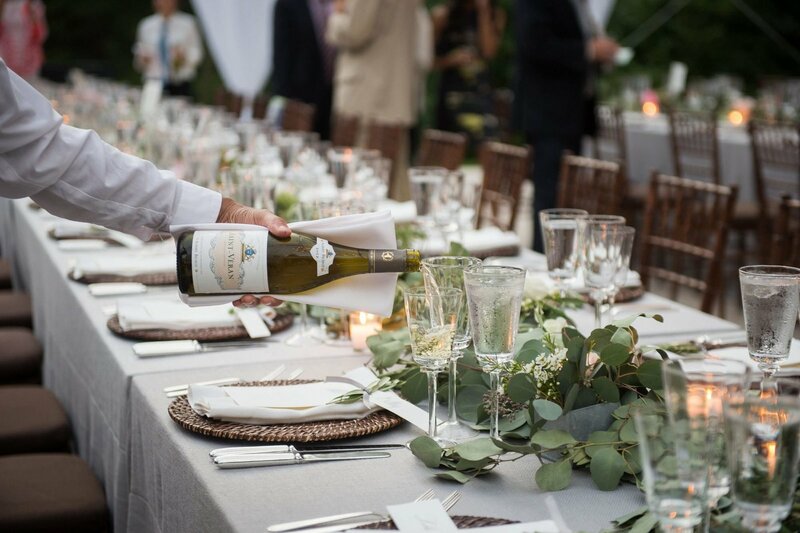 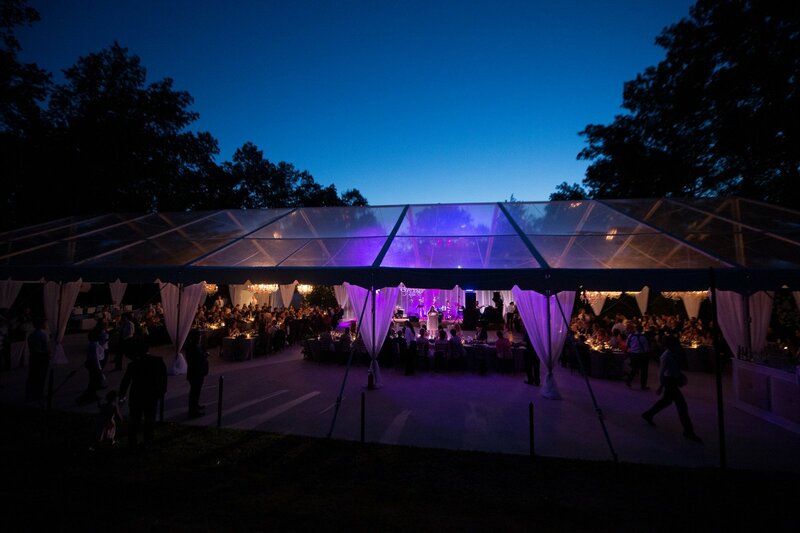 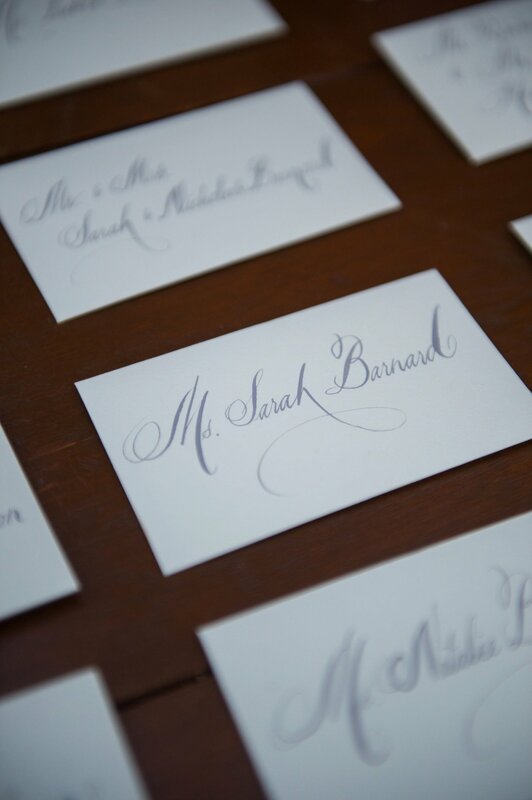 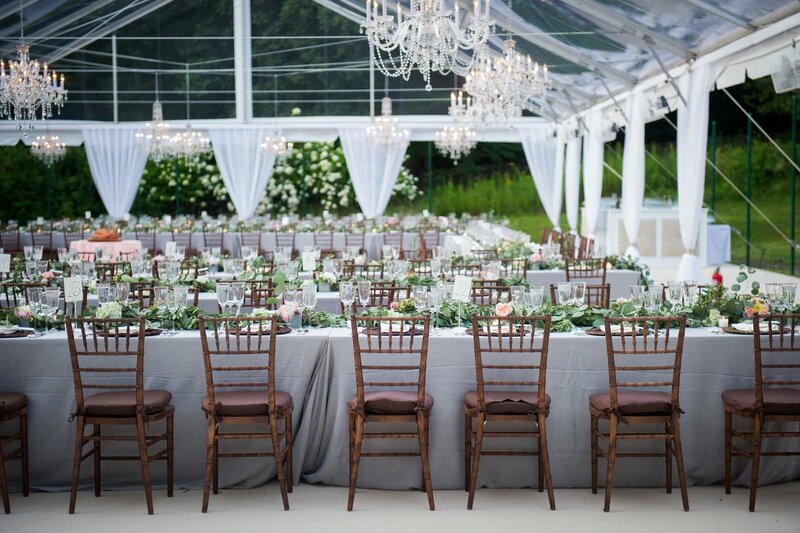 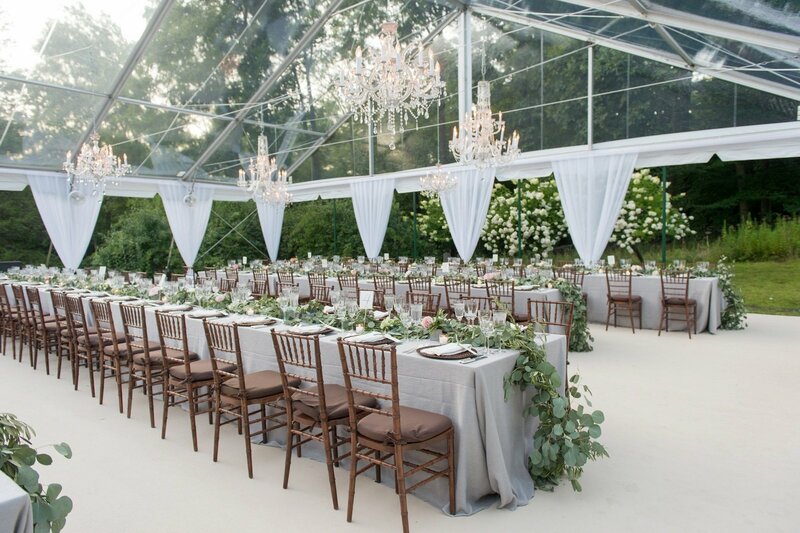 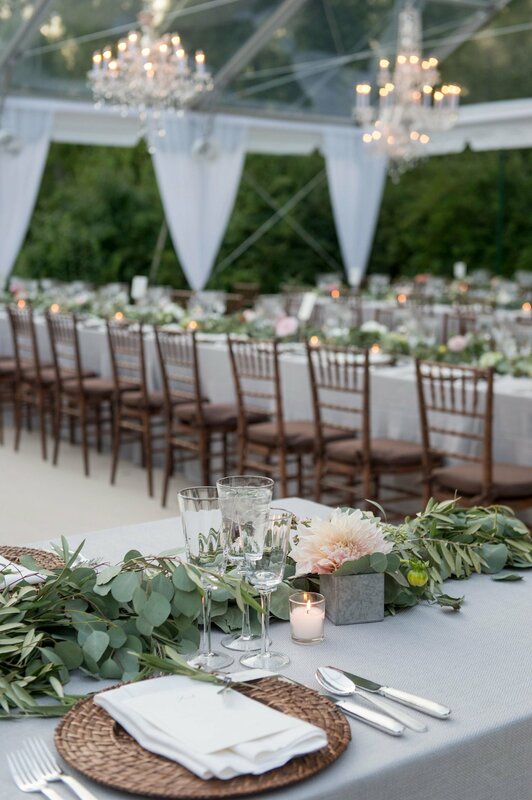 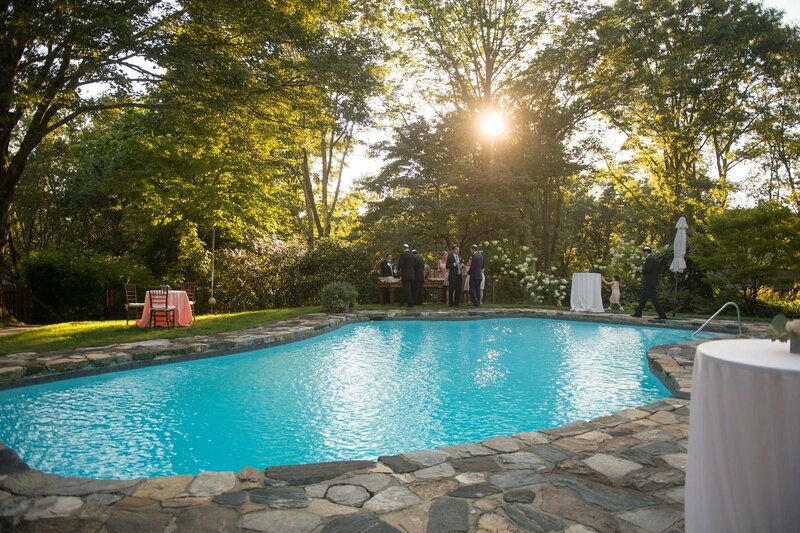 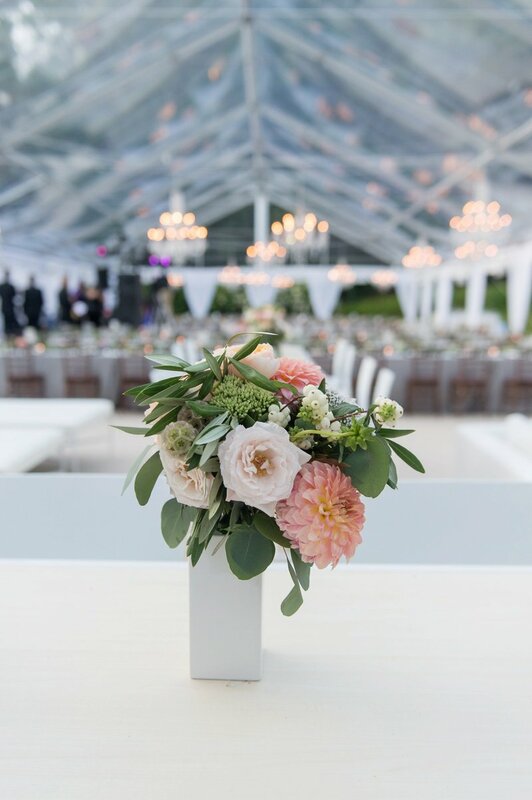 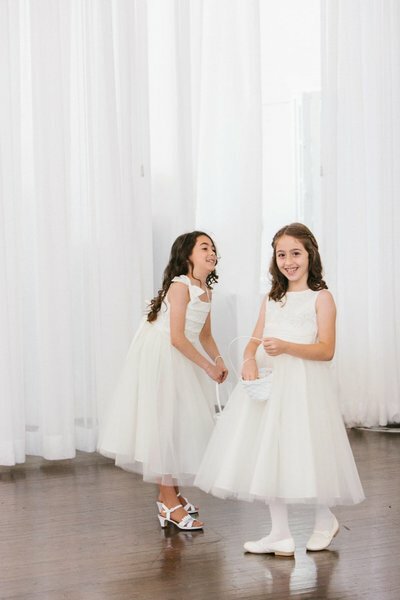 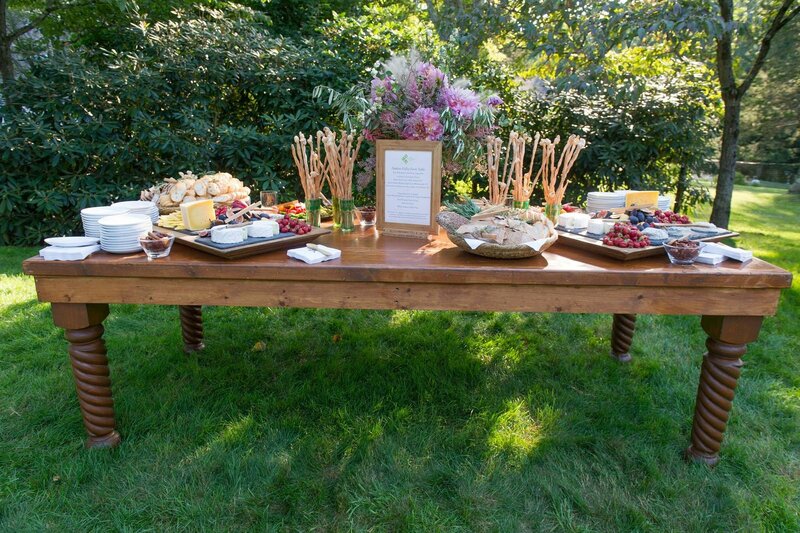 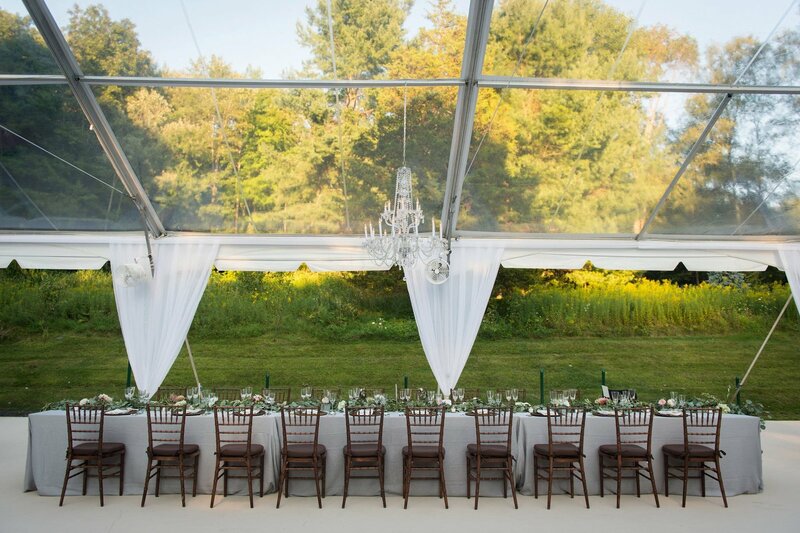 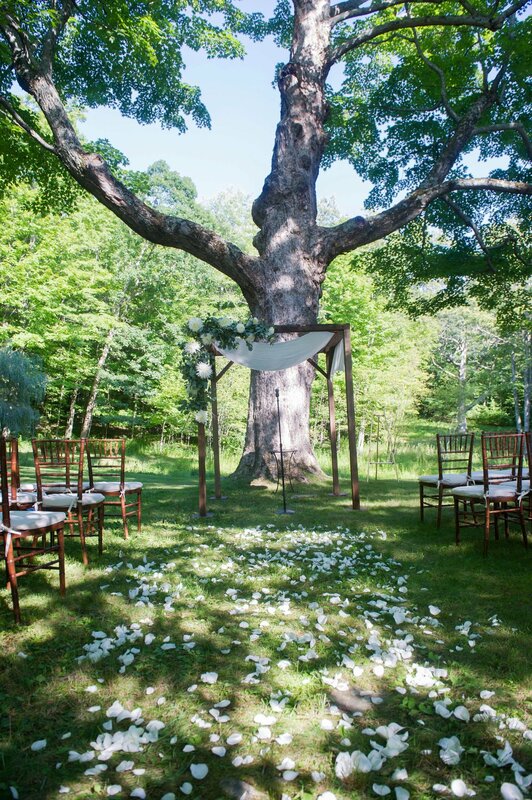 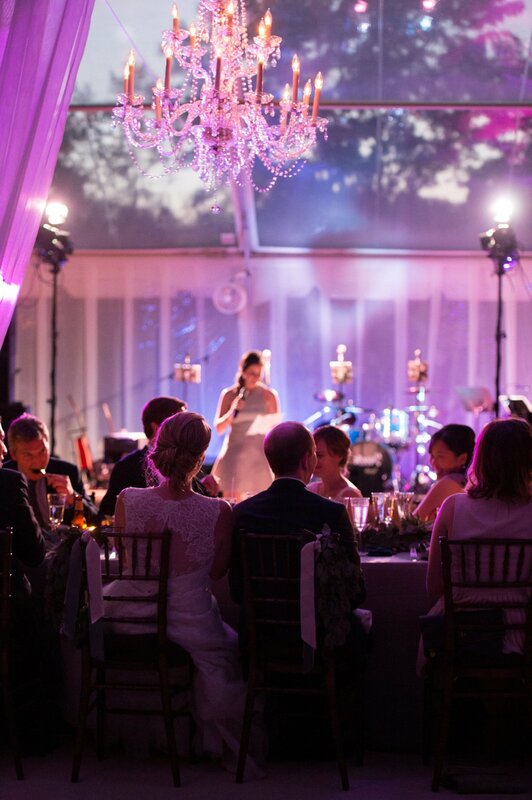 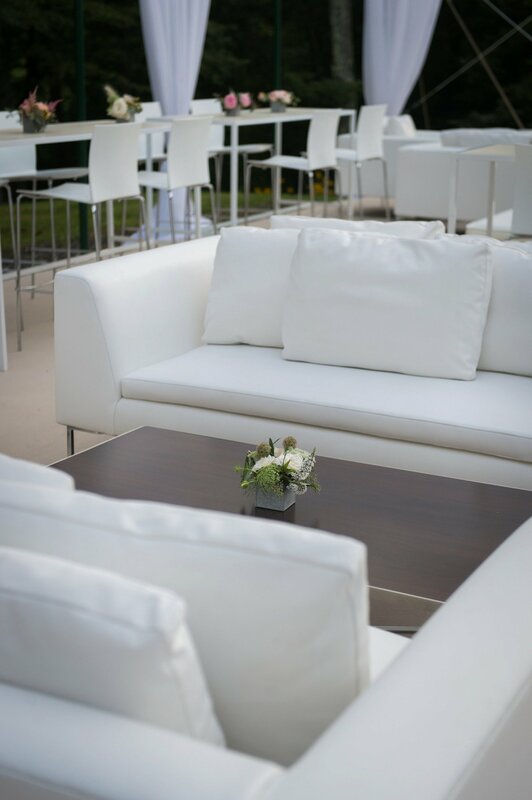 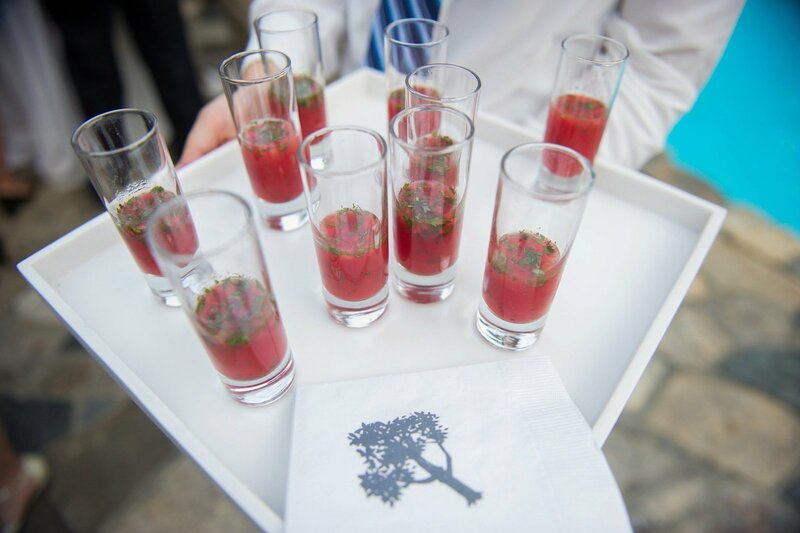 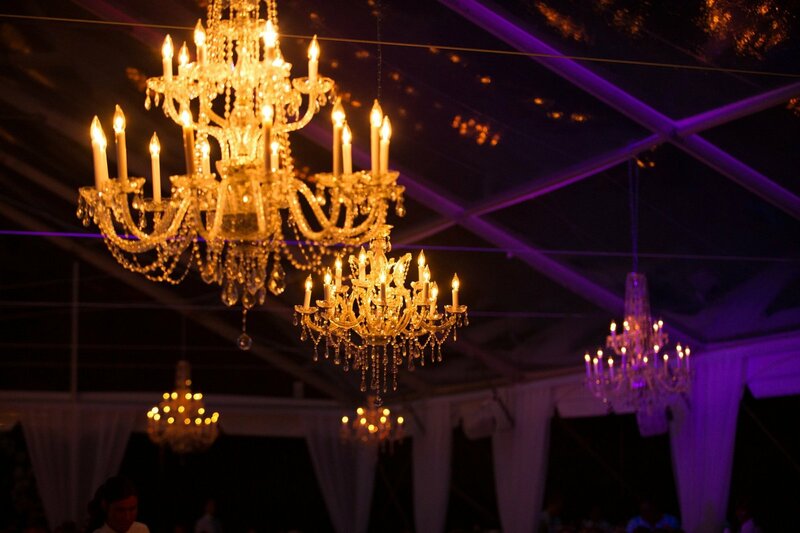 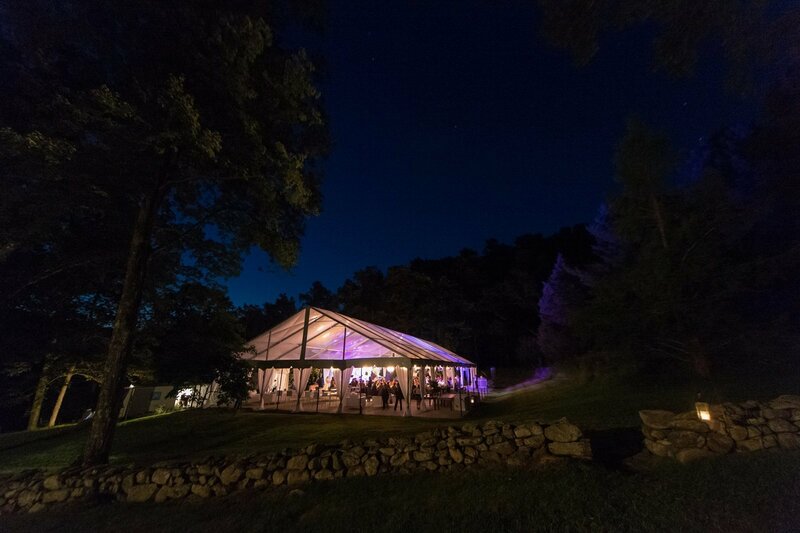 Learn all about S&N's classic tented home wedding in Washington, Connecticut on our blog.